(BOECKH-BEHRENS W.-U./SCHÄFFER, G., unpublished dissertation, University of Bayreuth, 2002). The objective of this study was to investigate the effects of EMS training on urinary incontinence. The presence, type and the intensity of urinary incontinence complaints were investigated in 49 individuals with back ailments with the help of initial and subsequent questionnaires (GAUDENZ 1979). A largely slight to moderate form of urinary incontinence was present in 17 individuals (15 women, 2 men) averaging 47 years of age. 10 units of EMS training, twice per week, each lasting 45 minutes, were carried out with the following training parameters: pulse duration 4 s, pulse interval 2 s, frequency 80 Hz, rise time 0 s, pulse width 350 s. In the process, a period of about 25 minutes of supervised training, during which various static exercise positions were assumed, followed a habituation period lasting 10-15 minutes in each case for the adjustment of individual pulse strengths. The training period concluded with a five-minute relaxation program (pulse duration 1 s, frequence 100 Hz, rise time 0 s, pulse width 150 s.
An alleviation of urinary incontinence complaints was achieved in 64.7% of the cases. 23.5% became complaint-free. A decrease in complaints occurred in 24.4%, and 35.9% saw no change. These results corresponded somewhat to the improvements that have been reported for treatments of incontinence with special, local electromuscular therapies (cf. Eriksen 1987, Sebastio 2000, Salinas Casado 1990, Meyer 2001). Whole body EMS training represents an effective training system. It achieves therapeutic goals such as relief from incontinence and back complaints and preventive goals such as muscle formation, body contouring and improvements in mood, vitality, body stability and general performance. Some recommend treatment for back pain prevention and rehabilitation is stretching, massage and Pilates. However, after long days of hard work trades are to physically exhausted or have little interested and time to dedicate to yoga/ rehab classes. EMS uses its own electrical pulses to contract your muscles without you having to put strain on your joints or ligaments to do the work. This is Amazing news for people who suffer from back pain or other injuries. A study consisting of 2 sessions a week for 5 weeks showed a reduction in back pain in 88% of participants. Participants who continued to experience back discomfort stated that their pain has reduced to up to 80%. More than 40% of participants complained about constant back pain at the start of the study. The figure was just 9% after 6 weeks of training. The pain totally disappeared in 44% of the patients with chronic complaints. Bionic Fitness EMS workouts are not only great for reducing and preventing back pain it can also help with posture, fix muscular imbalances, increase overall physical performance (strength, speed, endurance, power) aid to weight loss and so much more. One of the best parts about Bionic Fitness is that you are in and out within 30 minutes making it an extremely time efficient solution for a busy and hard working individual. Mark is a plumber, which means his job requires him to be physically mobile and active. Mark started doing Bionic Fitness 2 years ago after his knee injuries from rugby made it difficult for him to do regular gym training. Mark's originally goal was to loss weight, get fit and get strong. In the last two years Mark has became fitter, increased his core strength, fixed his back pain and been able to do his job more comfortably and effectively. Victoria secret models are considered to have the most sculpted physique in fashion. although their bodies look effortless, these models require discipline, consistency and effectIVE diet / training plans. 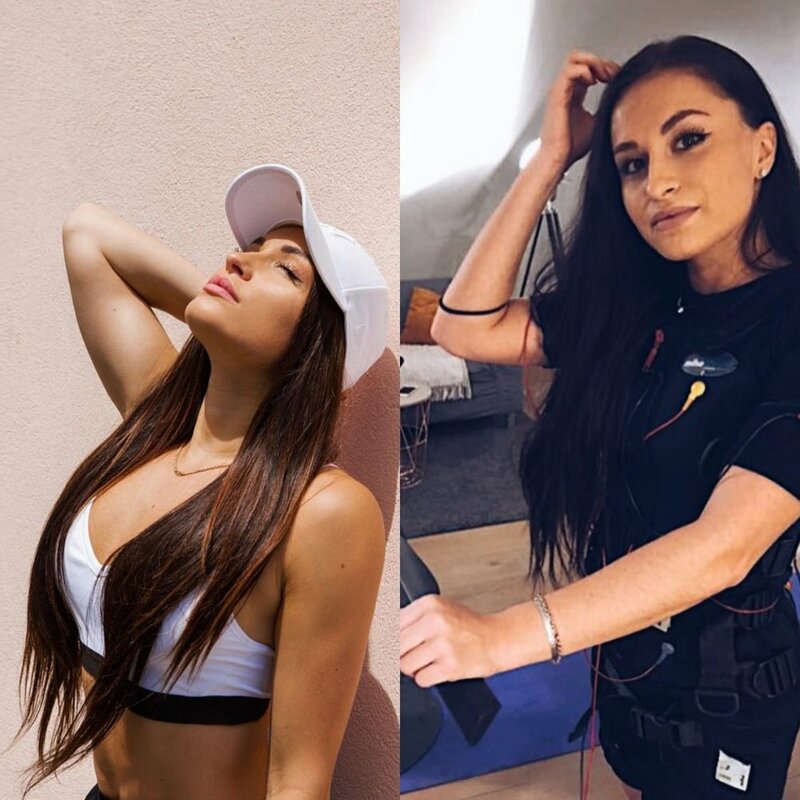 Victoria secret models and other high level models around the world are plugging in for a Shocking workout. Electro muscle stimulation workouts are growing in popularity due to their time efficiency, body toning effect and low injury risk. Electrical Muscular Stimulation (EMS) uses your own electrical pulses to contract your muscles without you having to put strain on your joints or ligaments to do the work. EMS uses an electric current to fire muscle fibres to give your body an intense and effective athletic training session. EMS training is appropriate for all levels including; general population, athletes, beginner, in rehabilitation or someone looking for a unique kick in their workout. + Increase deep stabilising core muscles. Watch the video below to see Desley’s first Bionic Fitness EMS experience. Bionic Fitness will coming to your office on Tuesday the 16th Of October offering Free 20 minute sessions. 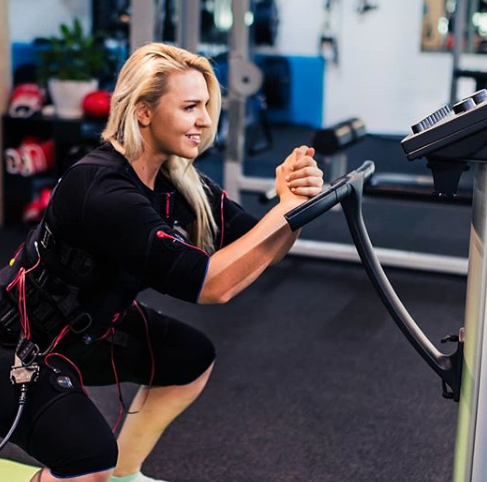 Bionic Fitness is Queensland’s first full body Electro Muscle Stimulation studio. Electrical Muscular Stimulation (EMS) uses its own electrical pulses to contract your muscles without you having to put strain on your joints or ligaments to do the work. EMS is effective in increasing several key areas including metabolism, strength, endurance and speed. What are the benefits of Bionic Fitness? Allows you to workout through an existing injury. What suit sizes do we go up to? We supply your undergarment suit and electro suit. All you need is a towel & water bottle. You can do your session in socks, barefoot or fitness shoes. Book in for your Bionic Fitness session below. Limited spots available. Once you have chosen your time you will be taken through a list of health screening questions. If any questions or concerns please feel free to contact us directly. You will find us in Room B1.1.06 On LEVEL 1. Today Employees are suffering from pain, disease, depression and discomfort more then ever before. The average person spends 8-14 hours a day sitting down. lack of physical inactivity contributes to over 3 million preventable deaths each year making it the 4th leading case of death. What is sitting down and inactivity really doing to your employees bodies? As an employer we want a workforce that is physically strong, healthy, happy and full of energy. We know it is hard to build a healthy and strong body and mind without regular resistance or HITT exercise. Bionic Fitness uses full body Electric muscle stimulation technology from Germany. Workouts go for 20 minutes and stimulate 90% of your main muscle groups in that time. That means your employees will be back to their desk within 30 minutes with their blood pumping, mind focused and body full of energy ready to get through the rest of the week. Counter for sitting Down all day. Develop a healthier work force. We set up a meeting so you can meet the team & find out a bit more about our technology. Bionic Fitness comes to you. We choose a day and come in to the office for a full day to let anyone interested in the opportunity to try a session for themselves for Free. We supply everything. Online booking system, health screening forms, undergarments, electric suits even a changing room. Step 4 - We become a part of your fitness and health solution. Bionic Fitness can come to your place of business for 1-2 days a week and preform EMS for your staff. We supply an undergarment and the fully body electric suit. Activate up 90% of your fast twitch muscle fibers. This level of activation takes 5 hours and 33 minutes doing conventional training and has the same health benefits as HITT training. .
Activate your slow twitch muscle fibers that are responsible for going the distance. This part of the workout goes between 3-5 minutes). Relax, break up tight muscles and knots with a 3-5 minute massage. .
Bionic Fitness will coming to your office on Friday the 8th of March offering Free 20 minute EMS sessions.